"I get smashed all the time, I get beat up daily...and I love it." I do get why people get frustrated by all you've written in this post, but it just doesn't hit me the same way. 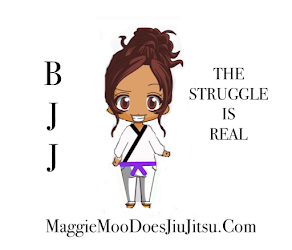 I look at my current daily point-of-view stuck in side control and go...welp, that strategy didn't work. try try again! It's *feedback*, it's data, it's information - being stuck there being the nail isn't personal, it's just telling me my current approach isn't working. You know? I totally agree on the 'don't start discounting the small victories' strategy of mental perspective. The moment you can't find satisfaction in your small daily progressions, is the moment you've lost focus on improvement, abandoned belief in your *ability* to improve and instead moved into some desperation frame of mind.